Price of Rajesh Silk Mills Red & Beige Embroidered Unstitched Lehenga Choli with Dupatta in the above table is in Indian Rupee. The best price of Rajesh Silk Mills Red & Beige Embroidered Unstitched Lehenga Choli with Dupatta is Rs. 1799 at Myntra in India. 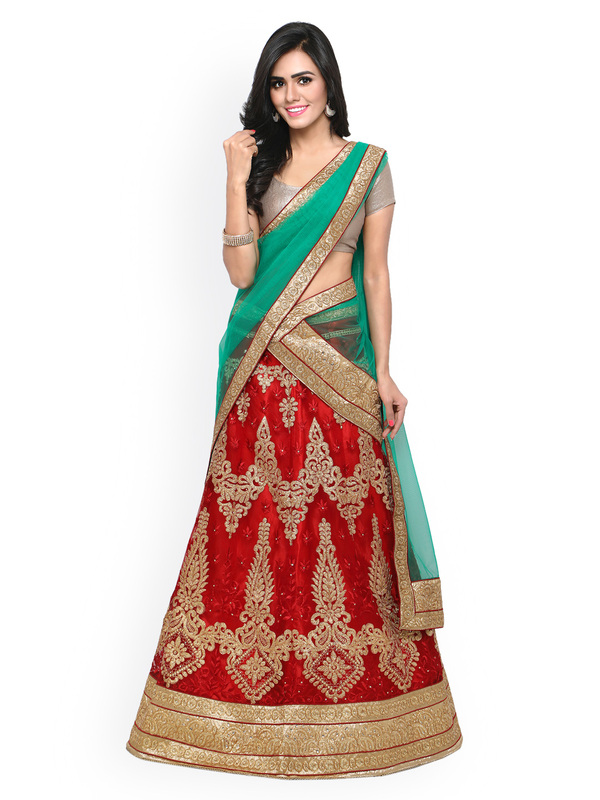 The Rajesh Silk Mills Red & Beige Embroidered Unstitched Lehenga Choli with Dupatta is available in Myntra. DTashion.com can help you save Rs. 2200 on this purchase. Rajesh Silk Mills Red & Beige Embroidered Unstitched Lehenga Choli with Dupatta can be delivered at the above price across 100's of Indian cities including Delhi (NCR), Bangalore, Mumbai, Hyderabad, Chennai and Pune. Rajesh Silk Mills Red & Beige Embroidered Unstitched Lehenga Choli with Dupatta prices varies regularly. Please keep on checking our site to find out the latest prices of Rajesh Silk Mills Red & Beige Embroidered Unstitched Lehenga Choli with Dupatta.